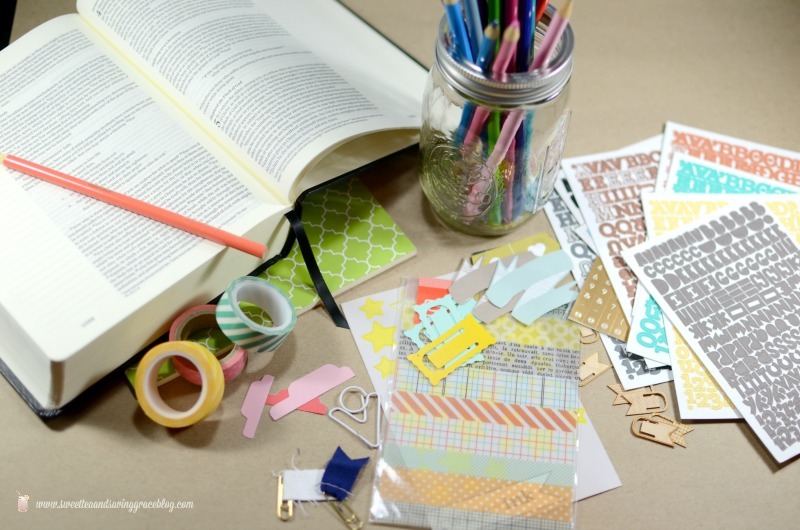 A few months ago, I stumbled across the blog of Shanna Noel and immediately became obsessed with all things Bible journaling. I’ve been an avid journal keeper most of my life – I have boxes of journals dating back to middle school through present day. And while I’ve spent seasons of my life enjoying personal Bible studies, I’ve never thought to journal them. 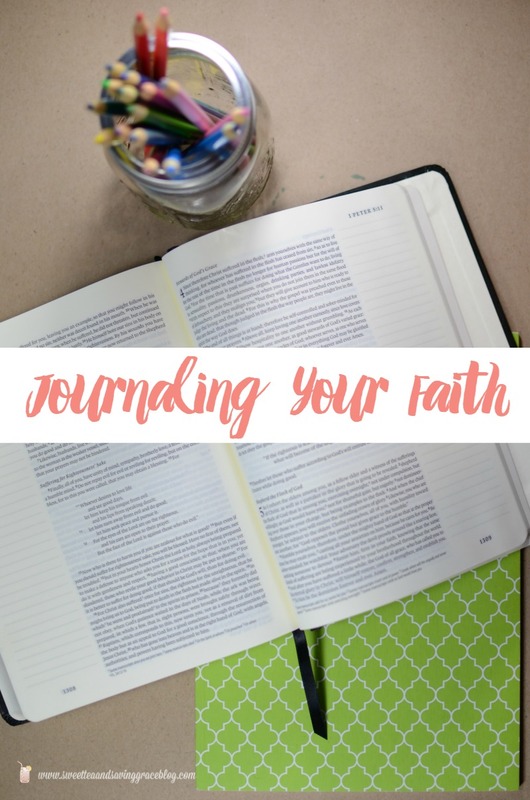 I’ve decided to create a new habit of Bible study & journaling, so today I want to share with you some ideas for Journaling Your Faith. 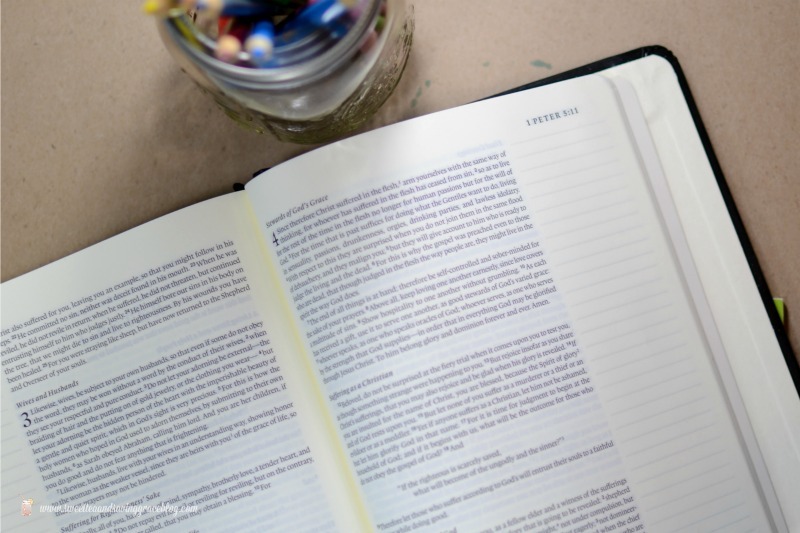 Bible journaling, even journaling in general, is a very personal process, so how you do it will be different from how I do it, and that’s ok. There is no right or wrong. And Bible journaling may not work for you at all, and that’s ok, too! 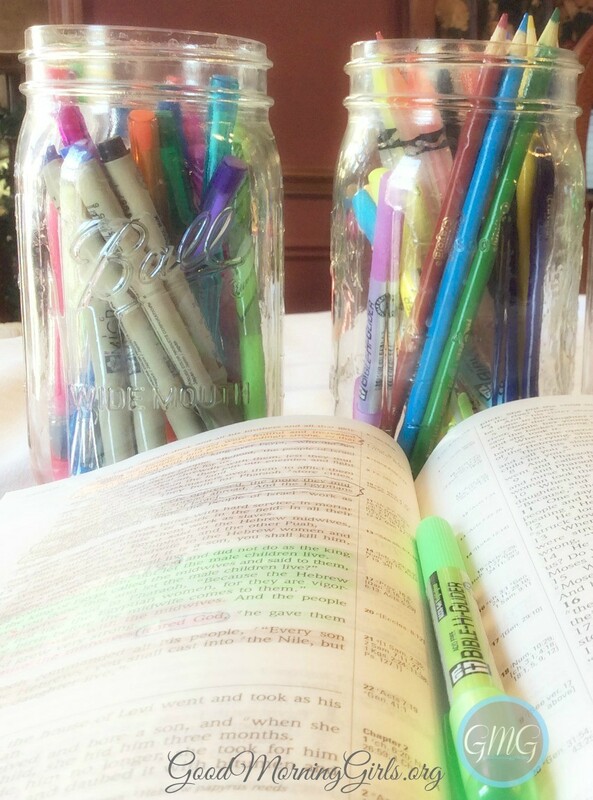 Because I love to journal, and I love to be crafty, I feel that Bible journaling can bring a new level of meaning to my Bible study time, and I’m looking forward to that. ESV Single Column Journaling Bible: I looked through several journaling Bibles both online & in stores before purchasing this one. 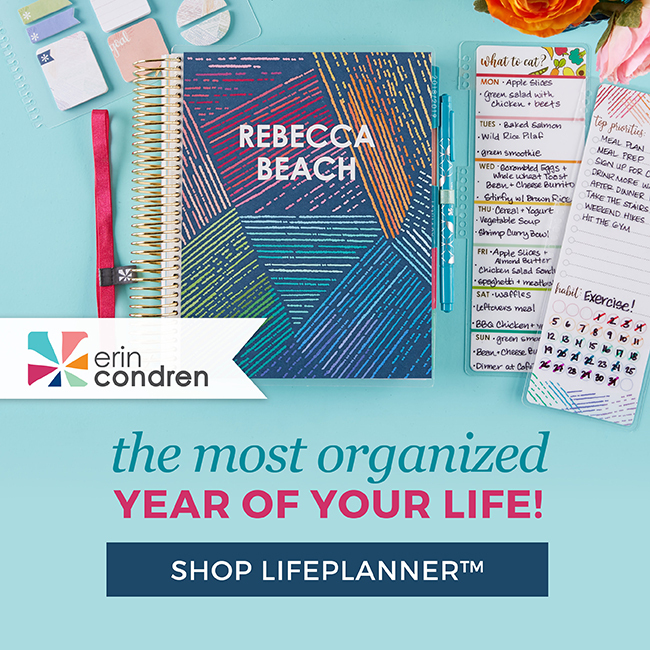 It’s a good size – small enough that it travels well but still leaves room for journaling. This one was also at a price point I was comfortable with, coming in at just under $30 with free Amazon Prime shipping. Small Lined Notebook: I kind of have a notebook addiction. I blame my mother and all those super cute school supplies she used to buy for me. Whatever the reason, these little notebooks that Target carries are perfect for my prayer and scripture journaling. I plan to use this one to write down any verses that jump out at me. It’s also the perfect size to keep in my hand bag to write down prayer requests as I get them from friends and family. Stamps & Ink, Colored Pencils, Various Scrapbook Supplies: I know my drawing capabilities are extremely limited, but I do love color and all the fun scrapbook supplies I’ve collected over the years. I plan to use these to add dimension to my Bible pages, highlight verses, draw pictures to the best of my ability, etc. Women Living Well Bible Coloring Chart: I’ve been reading Courtney’s blog, Women Living Well, for a long time. She has put together a free printable coloring chart that helps to highlight different parts of verses as they relate to specific topics. She put together a great video that explains it, and she shares the supplies she personally uses in her own Bible. Shanna Noel’s blog: Let’s just say that everything on her blog is inspiring. 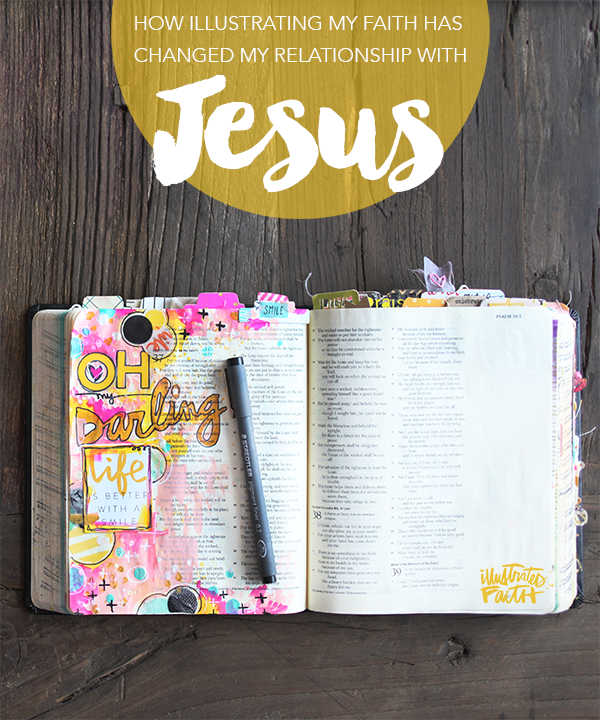 She shares her own Bible journaling, plus has tons of guest bloggers sharing their own Bibles full of inspiration. 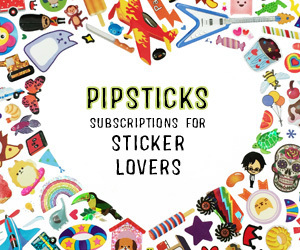 Illustrated Faith: There are a couple other resources from Shanna Noel and this is one of them. 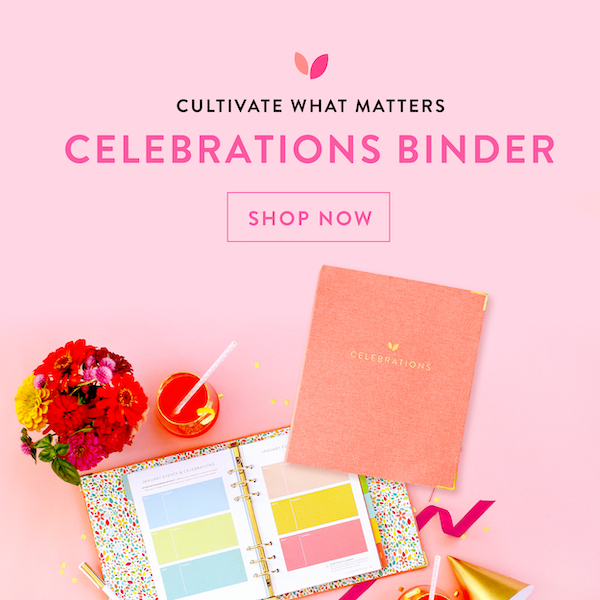 Illustrated Faith is a website full of videos, tutorials, and other resources to help you dig deeper into Bible journaling. Also be sure to check out the list of workshops – there may be one in your area. Illustrated Faith on Big Picture Classes: Shanna teaches a “Getting Started” workshop for anyone interested in Bible journaling. The class is available online on Big Picture Classes. Christian Journal Writers Journaling Conference 2015: Starts TODAY! The National Association of Christian Journal Writers is hosting a FREE online 3-day conference dedicated to Christian journaling. It runs today, March 18, through March 20, 2015. If this is of interest to you, be sure to become a member of NACJW while you’re there for even more resources. It’s also free. 30 Days of Prayer Journaling: Alyssa, blogger at Life From My Laptop, put together this 30 day series to guide you through prayer journaling. She’s also one of the speakers at the 3-day Journaling Conference, speaking on the same topic. 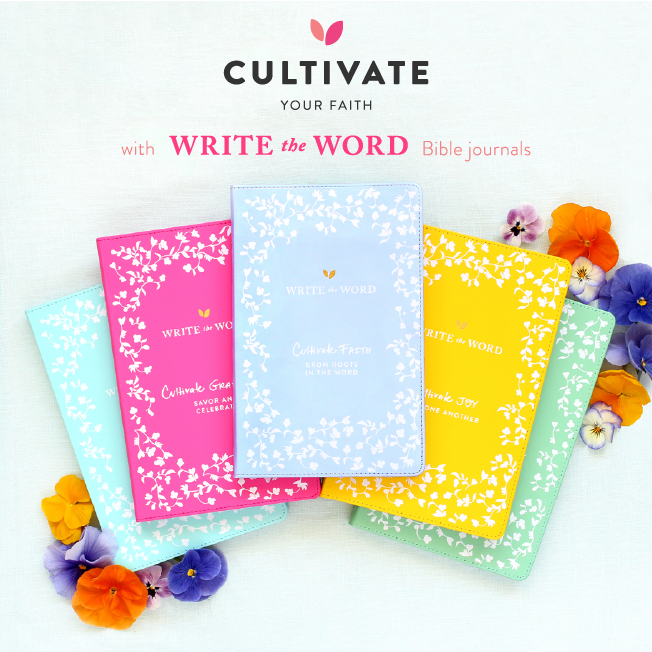 Also, by signing up for her newsletter, you’ll get a free 7-day guide to setting up your prayer journal. Do you journal in your Bible? I’d love to see pictures or get some tips from you! Share in the comments!